Urban Rustic decor is an innovative and exciting way to decorate your interior, which, when done properly, combines countryside accents and styles with modern urban design in a fantastic, eye-catching fashion. Urban Rustic design comes in many ways, shapes, forms and names, but whether it’s called Industrial Chic, Vintage Modern or Bohemian Chic, there are several core ways to make your interior the perfect Urban Rustic utopia. Urban Rustic decor is far from a safe and easy option for design – the amount of different themes can be intimidating to some and often, to get the required look you need to take risks. The fantastic thing about Urban Rustic is that there aren’t really any set rules for what you can and can’t do – you have the freedom to try different things and combinations. Repurposing and upcycling are both perfect ways to add a unique touch to a space. 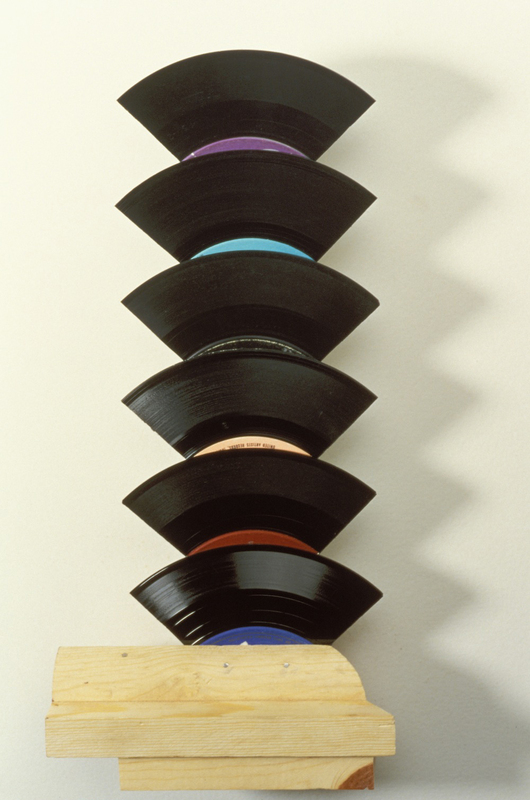 Pretty much anything can be a sculpture or feature piece – take this display made from vinyl records, for example. Wood is almost a necessity for Urban Rustic design, as its raw, natural appeal can have a striking impact on the overall look you get. Especially effective when used in the form of panels, beams, pillars and furniture, wood grain adds character and life to what may otherwise be a somewhat boring room. Wood adds a just a touch of the past, adding an air of reminiscence to a room. Embedded beams give an especially ‘farmhouse’ vibe. Our wood wardrobes are an excellent way to add a dynamic texture to your space, and can even work as a feature wall. Urban Rustic is by no means for the shy decorator, but isn’t something you should be apprehensive to try, as sometimes risks can pay off to create a fantastic look.